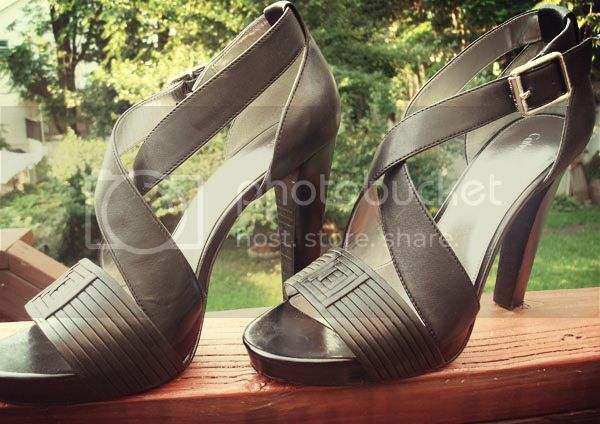 Worn only once, these Calvin Klein sandals are up for grabs and in perfect condition with no wear on the heel. They are comfortable with a 4 1/2 inch heel height and 1 inch platform. All leather upper. These are perfect for a all day wear with the ability to transition into a night look effortless. For $15 these are a great designer steal. I wish I could keep them! But if you can fit a size 8, then these willbe perfect for you!